To help your cross-country relocation go a little smoother, we've created the following list outlining everything you need to do before, during, and after your big move. Find the right moving company. This step is crucial to your move. Make sure your moving company is licensed and has insurance by verifying its Department of Transportation number. Remember: They'll be transporting everything from your rugs to your grandmother's fine china thousands of miles, so read as many reviews as you can to help decide whether they're trustworthy and reliable. Find a new school. If you have children and haven't chosen a new school yet, the time to do so is now. Do your research to find the best school in your new area. Once you've decided, make sure you fill out the proper paperwork, doctors' forms, immunization records, and sent over a transcript, if needed. This will ensure your child can begin classes as soon as you're in your new home. Garage sale! As you're slowly going through your items, decide which you'll keep and which you'll part with. If your items are in good condition, consider hosting a garage sale to earn extra money to fund your move. You can donate your remaining items, or post them on Craigslist or Let Go. Slowly start packing, little by little. Begin packing with padding and sturdy boxes. You can also choose to use plastic bins, which are more sturdy and protective, plus, you can repurpose them in various ways after the move. Properly label your boxes, too, and mark those containing fragile items. If you can, try to keep an inventory of all of your boxes and what's in them to avoid losing things during your trek. Transportation. Are you going to be driving? If so, consider having your car serviced to avoid a breakdown halfway across the country. If you're flying, make sure you have your flight (and a ticket for your pet, too, if you have one). End any memberships you may have. Are you a member at a local gym? Be sure to cancel any memberships a month before you leave. Schedule to turn off your utilities. Just like your memberships, make sure you schedule to have gas, electric, water, and cable turned off when you move. Change your address for important documents. Inform loan providers, credit cards, banks, and the payroll department at work of your new address. You should also update any magazine, newspaper, or other publication's subscription. (Don't forget your monthly Dollar Shave Club subscription!) Be sure to also fill out a change of address form at USPS, so everything else gets sent to your new home. You can do this at USPS locations, or here. Donate unopened food. Gather up any unwanted or unopened non-perishable food items. Ask you company if they partner with Move For Hunger, a nonprofit that collects these to give to those in need. Pack for the trip. Pack a bag with clothes, toiletries and other items you'll need while traveling. You'll also want to collect your most important documents, such as birth certificates, for example, to carry with you. Hopefully, most of the hard work should be done. Leave it to your movers to do the rest. Don't forget to tip your movers! Remember how much work it was to pack everything? Well, your movers have to securely load all of that (plus your furniture) into the truck, and safely transport it to your new home. Make sure you provide a good tip to thank them for all their hard work! Congratulations, you've made it to your new home! It's time to settle in. Unpack! Begin unpacking all of your items, starting with the most important, such as kitchen supplies, and toiletries for the bathroom. Once you've taken care of the essentials, you can begin unpacking everything else. Try to ensure you've unpacked within two weeks of moving, otherwise, items may end up sitting in boxes for months. 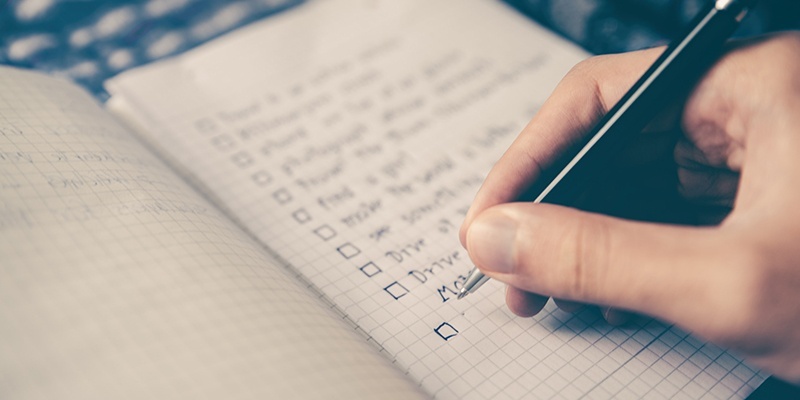 Moving across the country is hard work, but we hope this helpful checklist made the process just a little less stressful! Steinway Moving & Storage specializes in making your cross-country move stress-free. We provide a project manager and move coordinator that will take inventory and plan out every detail, from beginning to end, to ensure your move goes smoothly. 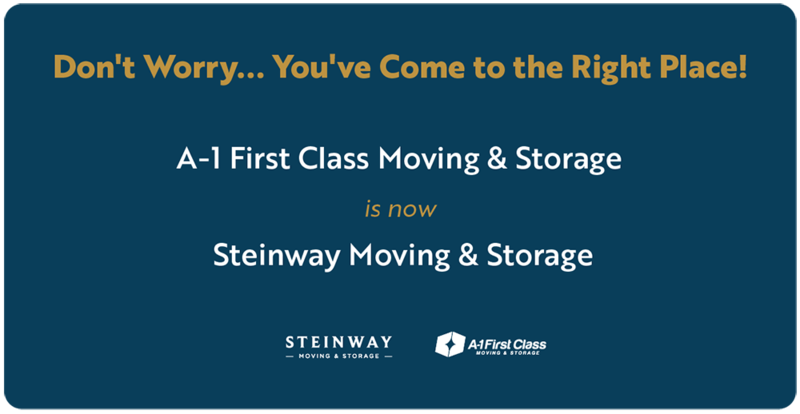 Learn more about Steinway Moving & Storage's residential moving services or request a free quote!